In 2009, the Kiwanis Club of Lapeer presented the City of Lapeer Parks and Recreation Dept. with a check for $30,000. 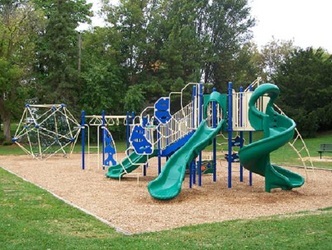 These funds were used in 2010 to install new playground equipment at Annrook Park. 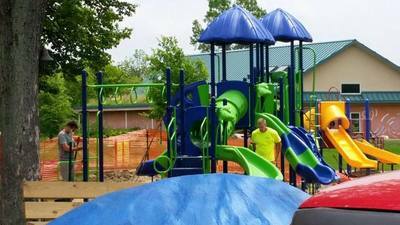 LAPEER — Christmas came a few days early this week for Lapeer city officials in the form of gifts from donors that will finance the installation of playground equipment at two city parks next summer. The announcement was made Monday evening by Ray Turczyn, director of the city’s Parks and Recreation Dept. at a meeting of the Lapeer City Commission, who was joined by three representatives of the Kiwanis Club of Lapeer that presented a large ceremonial check in the amount of $30,000 to Mayor Bill Sprague and the commission. 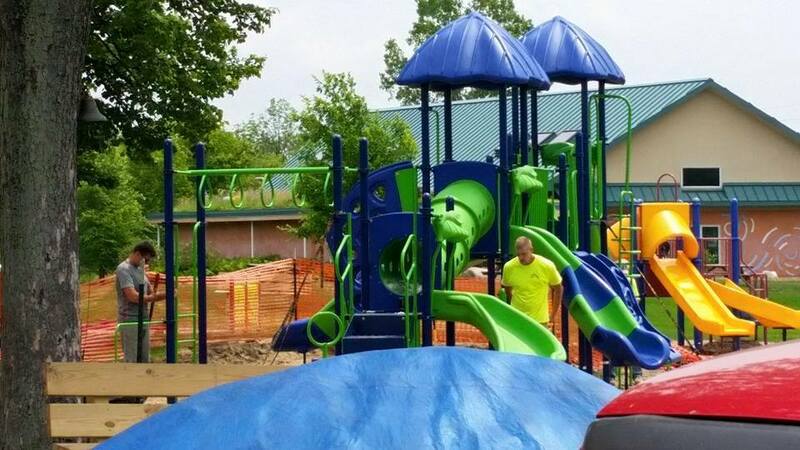 The Kiwanis money will go toward the purchase of new equipment at Annrook Park located along Court Street where the Lapeer Days festival midway is usually set up. Presenting the check for Kiwanis were current club president Jim McComb, owner of McComb Monument Co., as well as past presidents and active members Jim McQueen and Rob Skouson. Following their presentation they were greeted with a round of applause from commission members for their support of area youth and recreational opportunities in Lapeer. Funding for playground equipment for a second downtown-area city park — Rotary Park — located on the north side of Nepessing Street east of Saginaw was also announced Monday. This time the $43,000 price tag was picked up by the Walmart Corp., money left over from a fund established through an earlier made agreement between the City of Lapeer and the Arkansas-based retailer for off-site improvements following the expansion of the current Walmart Supercenter on Imlay City Road. McComb said the club, which has nearly 40 active members and meets every Wednesday at noon at the American Legion Hall, has been raising money for three years for the playground equipment. 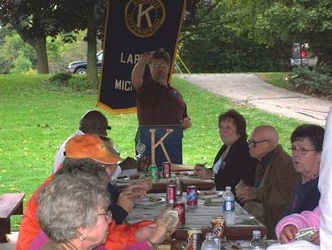 The Kiwanis Club of Lapeer supports a variety of youth interests including scholarships, Key Club, Scouts, baseball, a youth Christmas cheer program and other events. The club raises money through its annual fall cider sales at downtown-area intersections, a golf outing, Kiwanis Kapers and charity poker room volunteering. 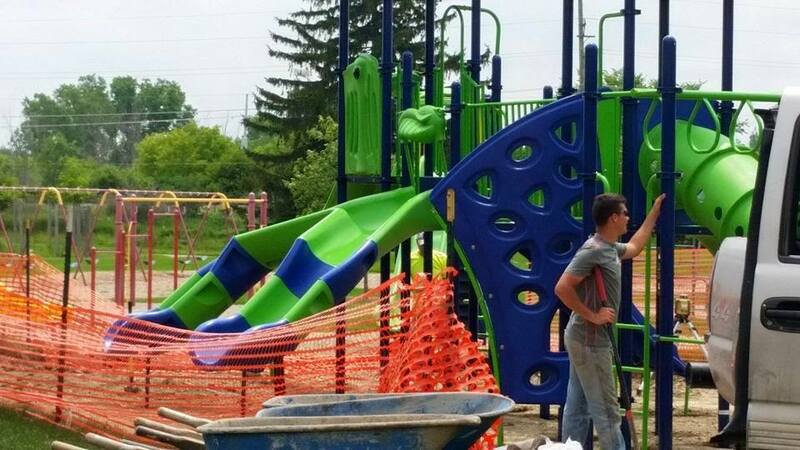 At Annrook Park, the new equipment to be purchased through Playworld Midstates of Holland, Mich. will replace old wooden structures which had deteriorated and were removed late last summer. 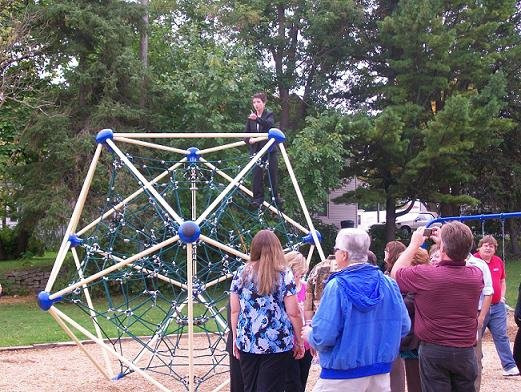 The new aluminum and plastic structures, designed for ages 5- 12, will include a playscape with slides, ladders, swings and climbing features and will be constructed on an accessible safety surface. Likewise the equipment at Rotary Park had deteriorated and was also removed for safety reasons. 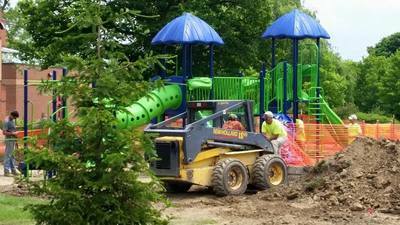 Playworld Midstates was also granted the job to provide the equipment for this park as well. Following installation next summer by Parks and Recreation Dept. 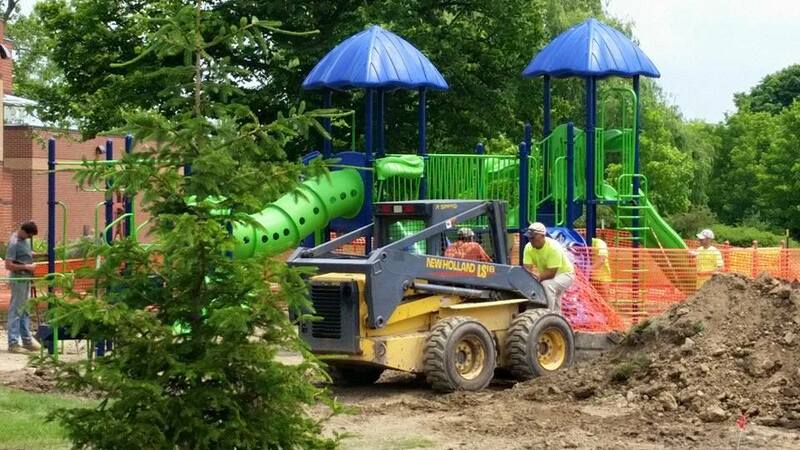 employees, the new playground equipment at Annrook Park will be dedicated to the Kiwanis Club that will be recognized for its generosity by signage near the play structures.